Unger and Madison are at it again! Florence Unger and Olive Madison that is, in Neil Simon’s contemporary comic classic, the Female Version of “The Odd Couple”. Instead of the poker party that begins the original version, Olive has invited the girls round for an evening of “Trivial Pursuits”. The Pidgeon sisters have been replaced by the Constanzuela Brothers but the hilarity remains the same. Neil Simon wrote “The Odd Couple “ in 1965, which went on to become a successful film and TV series. His “Female Version” was written in 1986, when he was at the height of his success. A multi-award winning writer on both sides of the Atlantic, in 1970-71 he had four plays running at the same time on Broadway, playing to packed houses. 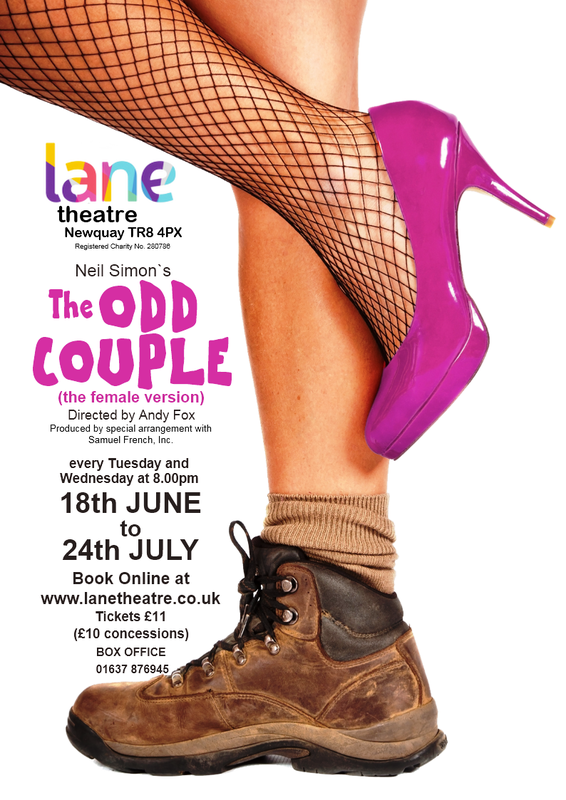 In both the “Odd Couple” plays he explores the friendships between a group of people who have know each other for a long time, and have a deep comradeship, even love, for each other. They can bicker and insult each other, but it is done with this undertone of affection. They all know that if any of them is in trouble, their friends will rally round and help, no matter what.. So when we learn about the break-up of Florence’s marriage, Olive, her oldest friend, has no hesitation in inviting her to move in to her chaotic apartment. It has been said by many far wiser than me that the only way to get to know someone properly is to live with them, and so it is with Olive and Florence. They quickly realize that they have two different ways of living, and the imposition of one upon the other soon begins to grate, no matter how deep that original bond is between them. As the tension between them builds, it is apparent that they are so opposite in their attitudes and life-styles that it is only a matter of a very short space of time (three weeks) before the inevitable happens, and Olive says that she wants a “divorce”! As we approach the end of the play, the girls have once again come round to Olive’s apartment to find that Florence has been “thrown out”. Mickey says that she is worried about Florence being on the street and that she is still their friend. Neil Simon sadly passed away in August 2018, leaving behind a rich legacy of plays, a lot of them dealing with human frailties. Perhaps it would do us all good to explore some more of his plays ourselves.